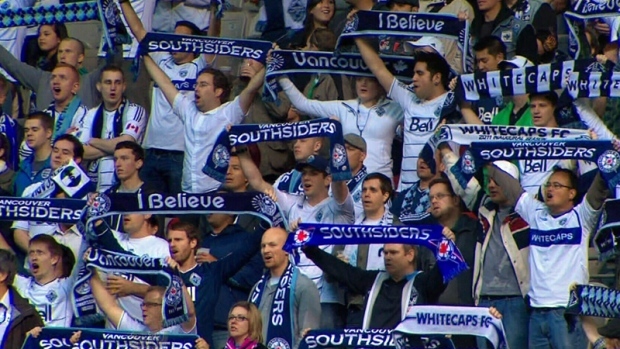 The Vancouver Southsiders are organizing an in-stadium protest over how bullying and abuse allegations were handled. Supporter groups of the Whitecaps are planning to walk out of Wednesday's match against Los Angeles FC to protest how the Vancouver club has handled bullying and abuse allegations dating back to the early 2000s. In a statement, the Vancouver Southsiders say any members who feel compelled to act will be walking out of their section in the 35th minute, and will watch the remainder of the half from concourse. "We wish to express our support and solidarity with those who have come forward. As part of expressing our solidarity, we will be inviting everyone who feels that the Whitecaps executives have not acted properly on their duty of care to young athletes to join us in an in-stadium protest," the supporter's group said in a statement. The issue revolves around online allegations against the former coach of a youth soccer program in Surrey, who coached the Whitecaps women's team in 2008 and worked with the Canadian women's national team program. The blog post, which was written by former soccer player Ciara McCormack, contains a string of allegations involving bullying and sexual harassment against a number of coaches involved in women's soccer. It also highlights what McCormack alleges was a failure to appropriately respond after incidents were reported to officials, including at the Whitecaps and the Canadian Soccer Association. McCormack details specific experiences and what happened after each alleged incident was reported. "They were told that there was potential sexual inappropriateness with underage players and the police were not called. That's what I feel like the Whitecaps have to answer for," McCormack told CTV News in February. Since McCormack's original blog post, a statement attributed to 13 unnamed members of Canada's national women's soccer program laid out several alleged incidents during the coach's tenure, which they called inappropriate. The Southsiders say they met with McCormack, as well as the spokesperson for the 12 unnamed members of the Canadian women's soccer team and say they feel compelled to act. "This is not a protest aimed at our players, nor the technical staff, nor the many earnest and hardworking employees of the Whitecaps. Our dissatisfaction is aimed squarely at the executives who were in charge of the club in 2008 through to the present day," the Southsiders said. "Their silence and lack of accountability in this scandal, as well as the urgent need for better protection for young athletes in all sports compels us to act." The Whitecaps issued a statement on April 1 saying they have contacted Vancouver police over concerns there are allegations that weren't raised at the time, but defended their initial review of the situation in 2008. "With respect to the matters raised regarding the Whitecaps Women's team in 2008: Complaints regarding behaviour within the program were brought forward to senior club management at that time. The Club immediately engaged an independent Ombudsperson, a leading expert in workplace safety and respected lawyer who specializes in this field, to do a thorough and impartial investigation into the complaints," the soccer team said.